About John Merrill Homes | Know Your Builder. Know Your Home. 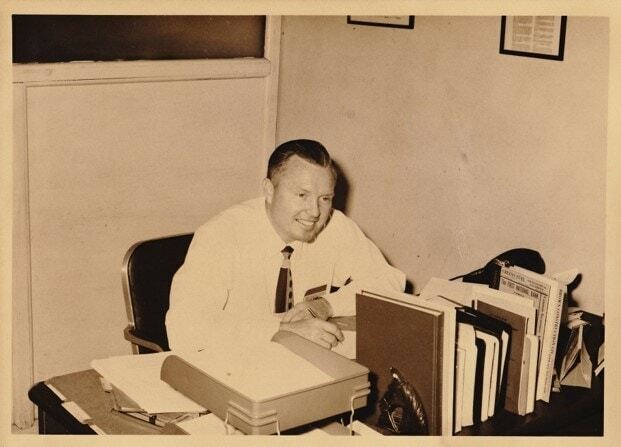 John Merrill started his Real Estate career in 1954 when he opened John Merrill, Realtor in Gainesville, Florida. He built his career around honest business and great service. This same great service continues today nearly 60 years later, through John’s sons who share their father’s passion and business sense. Adam Merrill, John’s only grandson, grew up working around the real estate office at a young age, helping his father with home repairs for the family’s property management business. Combined with Adam’s early attraction to architecture, this led him to pursue a degree in Construction Management at the University of Florida Rinker School of Building Construction. After trying his hand at a few different construction niches, Adam discovered a love of residential construction that had always been with him, and he took an entry level position with one of Florida’s premier custom builders. You can expect to see us around quite a bit over the time we work together. We are in contact regularly, and we’ll come by and visit whenever there’s something we need to sit down and talk about. We can handle your entire project from A to Z, connecting all the dots to smoothly and seamlessly guide your project from concept to completion. If this sounds like the type of home builder you want to do business with, we invite you to contact us for a complimentary, no obligation consultation. We appreciate your business and we look forward to serving you!